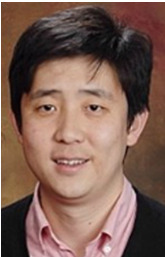 Dr. Wei Xu background is primarily on molecular biology and genomics. His PhD research (Dr. Mohamed Faisals Laboratory) focused on understanding the molecular mechanism of underwater adhesion employed by zebra mussel (Dreissenapolymorpha) in the Great Lakes area. His postdoc training (Dr. Thomas Mustoes Laboratory) was on mechanistic study of skin wound repair and tissue regeneration in human medicine. Dr. Xu started his research in LSU Agriculture Center as an Assistant Professor in 2015. He continuously applied molecular biology and genomic methods on a wide range of species in Aquaculture. 5) alteration of gene expression during fish gametes cryopreservation. 1. Wei Xu, Seok Jong Hong, Michael Zeitchek, Garry Cooper, ShengxianJia, Ping Xie, Hannan A. Qureshia, AimeiZhong, Marshall D. Porterfield, Robert D. Galiano, D. James Surmeier, Thomas A. Mustoe: Transepidermal Water Loss Induces Sodium Flux and Regulates Inflammatory Pathways through Epithelial Sodium Channel (ENaC) in Skin, 2014 J. Invest.Dermatol. Nov 5. doi: 10.1038/jid.2014.477.PMID:25371970. 2. Wei Xu, ShengxianJia, Ping Xie, AimeiZhong, Robert D. Galiano, Thomas A. Mustoe, Seok Jong Hong: The Expression of Proinflammatory Genes in Epidermal Keratinocytes Is Regulated by Hydration Status. 2013, J Invest Dermatol. doi: 10.1038/jid.2013.425. PMID: 24226202. 3. Seok Jong Hong, Eugene Park, Wei Xu, ShengxianJia, Robert D. Galiano, and Thomas A. Mustoe: Response of human mature adipocytes to hypoxia-reoxygenation. 2014, Cytotherapy, 16(12):1656-65.PMID:25231891. 4. Kai P. Leung; Peter D\'Arpa; Akhil K. Seth; Matthew R. Geringer; Marti Jett; Wei Xu; Seok J. Hong; Robert D. Galiano; Tsute Chen; Thomas A. Mustoe: Dermal wound transcriptomic responses to Infection with Pseudomonas aeruginosa versus Klebsiellapneumoniaeina rabbit ear wound model. 2014, BMC ClinPathol. 14:20. PMID: 25035691. 5. Claudia Chavez-Munoz, Khang Nguyen, Wei Xu, Seok-Jong Hong, Thomas A. Mustoe, Robert D. Galiano: Transdifferentiation of Adipose-derived Stem Cells into Keratinocyte-like cells: Engineering a Stratified Epidermis. 2013, Plos One, 8(12):e80587. PMID: 24312483. 6. Seok Jong Hong, Sheng-Xian Jia, Ping Xie, Wei Xu, Kai Leung, Thomas Mustoe, RobertGaliano: Topically Delivered Adipose Derived Stem Cells Show an Activated-Fibroblast Phenotype and Enhance Granulation Tissue Formation in Skin Wounds. 2013, Plos One, 8(1): e55640. PMID: 23383253. 9. Wei Xu and Mohamed Faisal: Factorial microarray analysis of zebra mussel (Dreissenapolymorpha: Dreissenidae, Bivalvia) adhesion. 2010. BMC Genomics. 11: 341-357. PMID: 20509938.